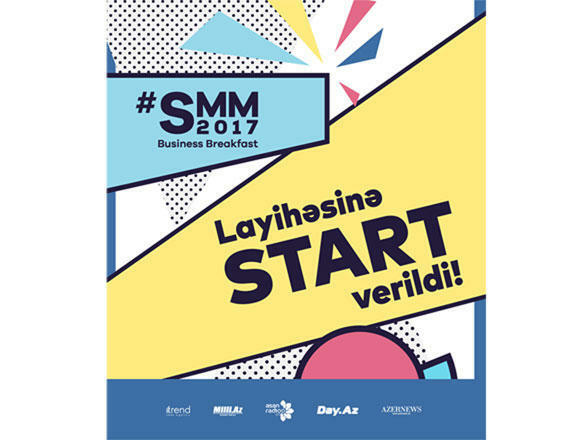 The project #SMM2017 business breakfast, by the ASAN Kadr Career Center of the ASAN Volunteer School, was launched in Azerbaijan. The project, implemented in 2016 with the support of the Youth Fund under the President of Azerbaijan, brings together 300 applicants, 12 speakers and 50 participants, Trend Life reported. #SMM2017 business breakfast aims to develop theoretical and practical knowledge about social media marketing (SMM) and entrepreneurial activities as well as to disclose the creative potential of young people. Within a month, professionals will share their experience with the young on such topics as Digital Marketing, Marketing in Social Media, Strategic Marketing, Search Engine Optimization, etc. After finishing the theoretical part of the session, teams-participants will start the preparation of marketing plan. The meetings with speakers and employers will be also organized as part of the event. Taking into account competition in a market economy, companies and businessmen often use digital marketing tools. Thus, social media marketing becomes an important tool in digital marketing. #SMM2017 Business breakfast will broaden your skill set which will benefit in the future work.